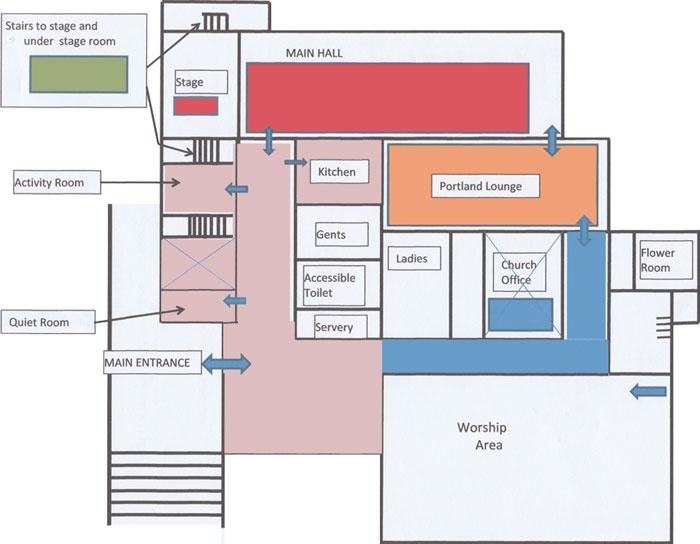 The Worship Area, which seats around 100 people, has sound amplification, projection facilities and is suitable for public meetings, concerts etc. The Main Hall, which is flexible in use with stackable seating, tables of different sizes and good lighting. It communicates with the Kitchen by a hatch. The Portland Lounge, which is suitable for smaller groups up to 30, with flexible seating and communicates with the Kitchen by a second hatch. The Kitchen, which has been refurbished to a high standard in 2017 and has the potential for the preparation and serving of simple refreshments or meals. 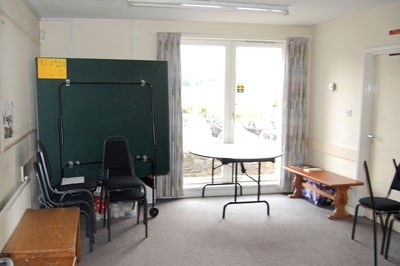 Activity Room, which has chairs and 2 tables and is suitable for small groups of up to 8 or 12. 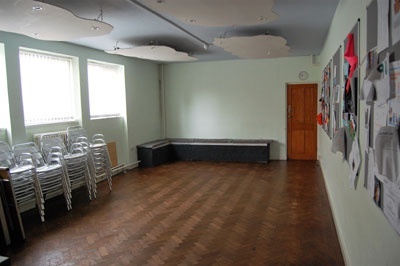 The Understage Room which has some seating and is suitable for group activity rather than committees. To get the right room for your event please look at our room rates and use our booking enquiry form and someone will be in touch with you to work out the right room for your needs.